Bullring of Córdoba. 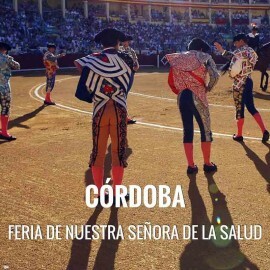 Festivities of Córdoba in May 2019. 3 bullfights with the greatest bullfighters of the season. This year the bullring reserved for children a space monitored by monitors who will take care of them during the whole celebration, resolving the doubts they have about what happens in the show. In this way, their parents and grandparents will enjoy the bullfight. Note: Children's place (children from 4 - 10 years old) Free. 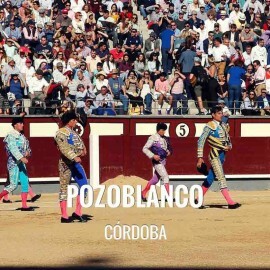 Check the official bullfighting schedule in Córdoba to program a bullfight with your visit dates 2019. Bullfighting Feria de Nuestra Señora de la Salud: date to be confirmed. Request information and advance tickets booking for all bullfighting event : You may book in advance and be the first to purchase tickets to any event at the Bullring. Servitoro delivery service offers the User the opportunity to acquire the tickets in a safe and easy manner from his/her home address, avoiding long queues before ticket offices. Complete the request information about Córdoba. Servitoro offers to non-residents the opportunity to deliver the tickets to hotels, hostels and similar during their stay in Spain and coinciding with the bullfight event (2-4 days before the show). Servitoro, Official Box office of bullfighting tickets sales at Cordoba bullring. 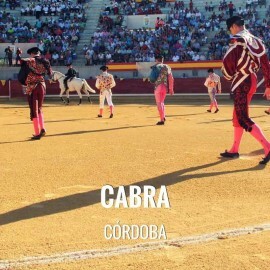 Córdoba is one of the birthplaces of bullfighting. The history and taurine tradition of the province is very rich and extensive. Already in 1492 there is evidence of the celebration of a bullfighting festival in the courtyard of the Cordovan Alcázar on the occasion of the surrender of Granada and to the delight of Prince Don Juan of Spain. 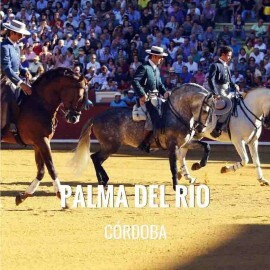 Many have been the outstanding characters, in all the fields of bullfighting, that Córdoba has given over the centuries. And five are the Caliphs of bullfighting, born there: Lagartijo, Guerrita, Machaquito, Manolete and El Cordobés. In Montoro they celebrate the festivities in honor of their patroness, the Virgin of the Rosario, from October 7 to 12. 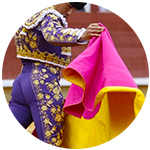 Concerts, fireworks, prizes, the cattle fair and bullfighting celebrations take place during those days. A bullfight is celebrated in the month of October, in honor of its patroness the Virgin of the Rosario. How to get from Córdoba to Montoro: Montoro is located 47 km from Córdoba. How to get here | Driving Direction. 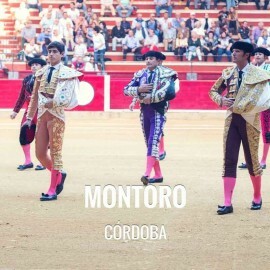 Address Montoro Bullring: C/ Plano de la Feria 1, 14600 - Montoro, Córdoba. 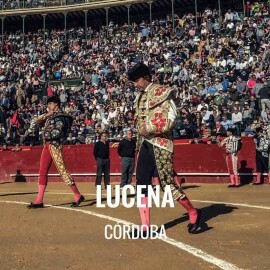 In 2018 there was a bullfight with Julio de la Puerta bulls for Finito de Córdoda, Julio Benítez 'El Cordobés' and Filiberto where the three left on shoulders. We regret to inform you that, currently, Servitoro does not have tickets for this show, but we recommend other bullfighting experiences a few kilometers from Montoro. Servitoro, bullfighting news of Montoro Bullring, Córdoba. Bullfighting Fair Virgen de las Mercedes: still needs to be confirmed. Request information and advance tickets booking for all bullfighting event : You may book in advance and be the first to purchase tickets to any event at the Bullring. Servitoro delivery service offers the User the opportunity to acquire the tickets in a safe and easy manner from his/her home address, avoiding long queues before ticket offices. Complete the request information about Pozoblanco. Servitoro offers to non-residents the opportunity to deliver the tickets to hotels, hostels and similar during their stay in Spain and coinciding with the bullfight event (4 days before the show). 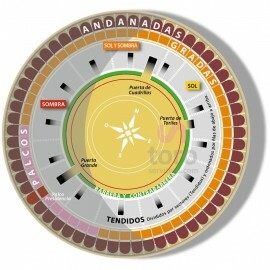 Servitoro, Official Box office of bullfighting tickets sales at Pozoblanco, Cordoba bullring. How to get from Cádiz to Algodonales: Algodonales is located 118 km from Cádiz (1h 21 minutes by car) see route by car. Address Plaza de Toros de Algodonales: portable bullring. 11680-Algodonales. After thirteen years without bullfighting celebrations, in 2017 the Bullfighting Fair was recovered with Montes de Oca steers for the horseback-bullfighters José Antonio Mancebo and Ginés Cartagena and the debutant Luis Sánchez Zambrano. They all went out on shoulders ('Puerta Grande') and the cattle rancher went around the ring. In 2018 a mixed bullfight was held with a Prieto de la Cal bull for the horseback-bullfighter Ana Rita; two from Albarreal and two from Soto de la Fuente for the bullfighters Javier Conde and Julio Benítez 'El Cordobés'; with all of them on shoulders. Servitoro, bullfighting news of Palma del Río Bullring. Bullfight tickets to Priego de Cordoba, all bullfights organized in the Bullring of Priego de Cordoba. 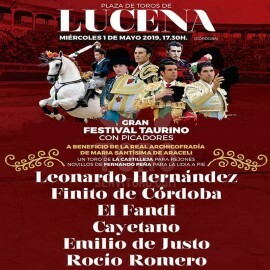 Feria Real de Septiembre 2019. Fast and secure online ordering. Immediate information of all the Bullfighting Festivals. A virtual store with the most powerful technology and design of the sector. Easy navigation, transactions with high security and confidentiality of data.Córdoba is located 106 km from Priego de Córdoba (Cordoba) (1 hour and 14 minutes by car). How to get from Córdoba to Priego de Córdoba (Córdoba). 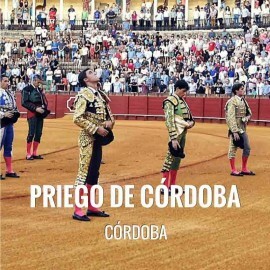 Check the official bullfighting schedule in Priego de Cordoba to program a bullfight with your visit dates 2019. Feria and fiestas: date to be confirmed. Request information and advance tickets booking for all bullfighting event: You may book in advance and be the first to purchase tickets to any event at the Bullring. Servitoro delivery service offers the User the opportunity to acquire the tickets in a safe and easy manner from his/her home address, avoiding long queues before ticket offices. Complete the request information about Priego de Cordoba. Servitoro offers to non-residents the opportunity to deliver the tickets to hotels, hostels and similar during their stay in Spain and coinciding with the bullfight event (2-4 days before the show). Servitoro, Official Box office of bullfighting tickets sales at Priego de Cordoba bullring.